Welcome to Saturday Sparks 16! Sorry, that it is a day late. This is a very busy time of year for us and there just doesn't seem to be enough hours in the day. The Story of our House post from Front Forty Farm. Emily tells us the story of how her lovely New England Home was created. 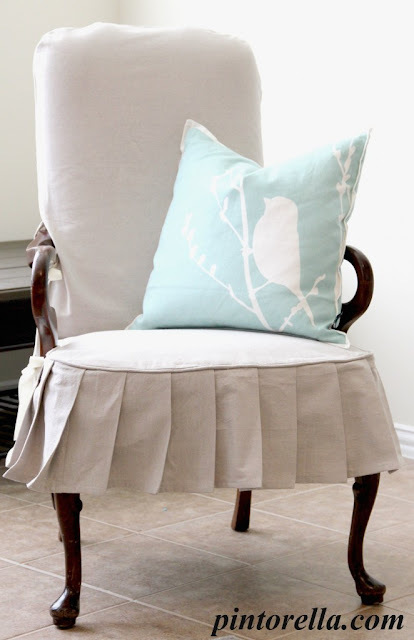 This Dropcloth Slipcover Love post from Pintorella. Angie shares her pretty slipcovered chair. Pleats, piping and drop cloth - what's not to love! My Dads House in Spain post from Little Brags. 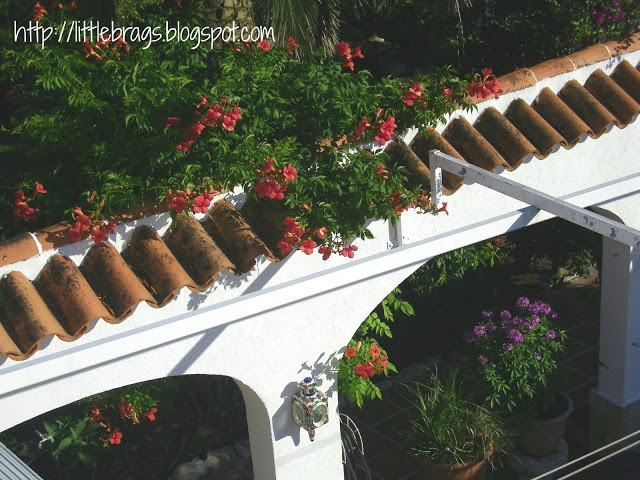 Christine gives us a photo tour of her father's home in Spain. It's fun to see the different styles of homes from other countries. Love the curved tile roof combined with the lush gardens. This Ruffled Tote Tutorial from Passion et Couture. Marisa has a fabulous tutorial to recreate this lovely tote bag. 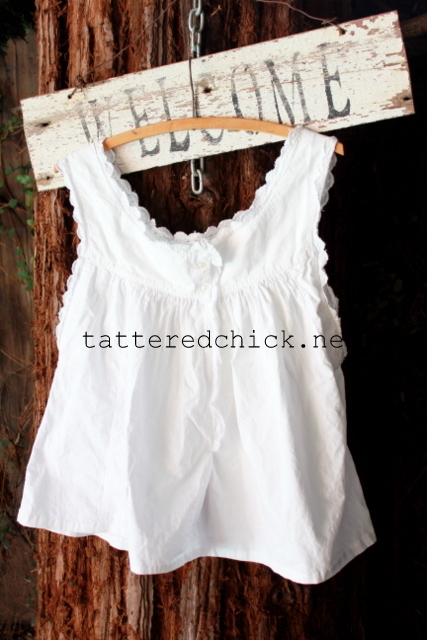 This From Nightie to This... post from Tattered Chick. Marsha shows us her flea market find that she altered into a sweet blouse. This Bathroom Update on a Budget post from KrystaSteen. 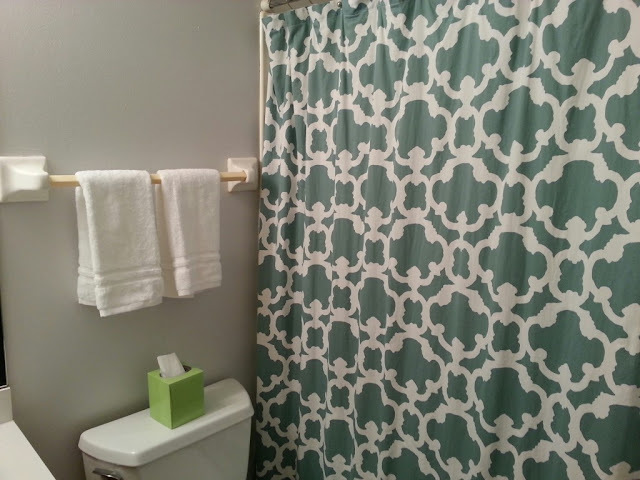 Krysta updates her kids bathroom and takes it from the toddler years into the tween years. The Perfect Summer Candles post from Glamorous Bride. 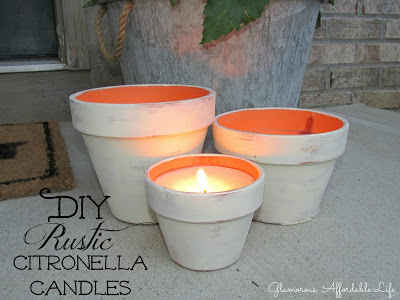 Fotini gives us a DIY on making these rustic citronella candles just in time for the upcoming hot summer days. Link are open through Friday morning. Wow I can't believe I was featured with all the fab entries!!! Have a great day! Thank you! Thank you for hosting today ~ and the beautiful features! Many thanks for having me again today. Hope the week is wonderful for you! Thanks so much for featuring my bathroom update! Have a great week! Thanks for featuring the slipcover I made - working on another one and am hoping to finish it this weekend. Have a great Thursday!